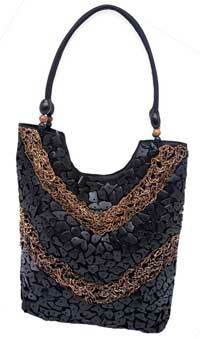 The Shell Chic Scoop Top Tote Bag by Cebu is in a soft black with shells covering the front with center beading. There are 2 areas of decorative rope on the front, along with 2 rolled handles with wooden beads. 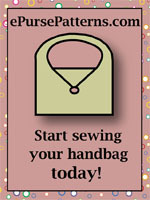 The back of this bag is a silky fabric that has a convenient zippered pocket outside. 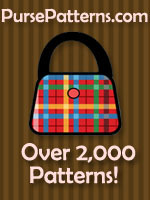 A magnetic snap fastens the top and inside is fully lined with an open cell phone pocket and an additional open pocket. Measurements are 13 1/2"W x 11"H (to bottom of scoop top) x 4 1/2"D.